Ukrainian President Petro Poroshenko announced Saturday he will skip the Eurovision song contest final because of the death of four civilians in the shelling of the eastern city of Avdiivka. Pavlo Zhebrivskyi, the governor of the Kiev-loyal Donetsk region administration, said that 63 drinking water reservoirs were set in the eastern town of Avdiivka amid water supply disruptions caused by fighting between Kiev forces and eastern militias. An agreement was reached on a ceasefire by conflicting parties in Donbass, lasting from 09:00 to 13:00 GMT, to repair power lines in Avdiivka, the State Emergency Service of Ukraine said on Sunday. 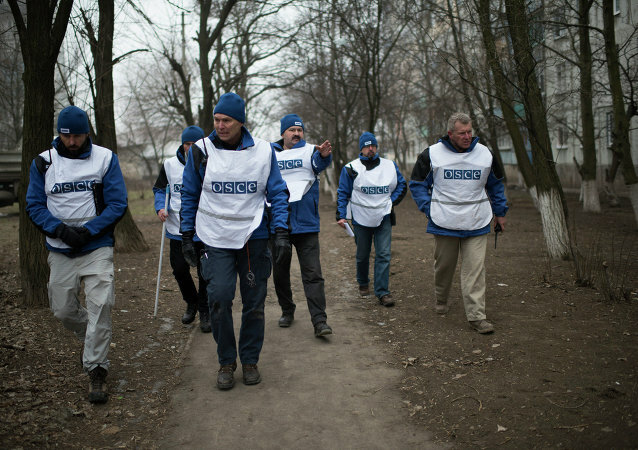 The Organization for Security and Co-operation in Europe’s Special Monitoring Mission to Ukraine (OSCE SMM) expressed concern on Saturday about reports of overnight shelling near the towns of Avdiivka and Yasynuvata in Donbass. 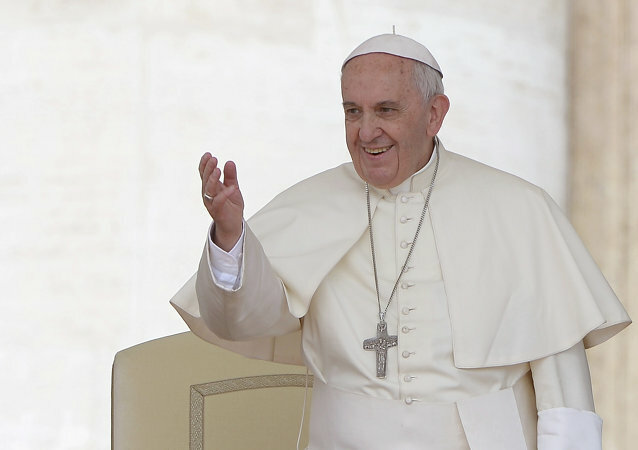 A humanitarian fund of Pope Francis for Ukraine will allocate 200,000 euros (about $211,000) in aid to the town of Avdiivka, which suffered from the military operations since January, the head of the Donetsk military and civil administration Pavlo Zhebrivsky said Wednesday. About 153,000 residents of Lugansk People's Republic (LPR) have signed a petition to the leaders of Russia, the United States and Germany calling to prevent further aggravation of the situation in Donbass, LPR People’s Council chairman Vladimir Degtyarenko said Saturday. A military-diplomatic source in Moscow told Sputnik that Ukrainian authorities had planned the recent escalation of conflict in Donbass in advance, in order to coincide with meetings of Ukrainian President Petro Poroshenko with western politicians. Berlin welcomed what it considers to be a reduction of clashes in Donbass. If ever an image captured the dysfunctional nature of the European Union it was the assembled leaders of the 28 member states photographed at an ancient fortress on the Maltese island this week. The deadly violence in eastern Ukraine should be ceased, head of the OSCE SMM to Ukraine Ertugrul Apakan said Friday. The Russian Investigative Committee said Friday it launched a criminal case into civilians deaths from Ukrainian government shelling in Donetsk on February 1-3. 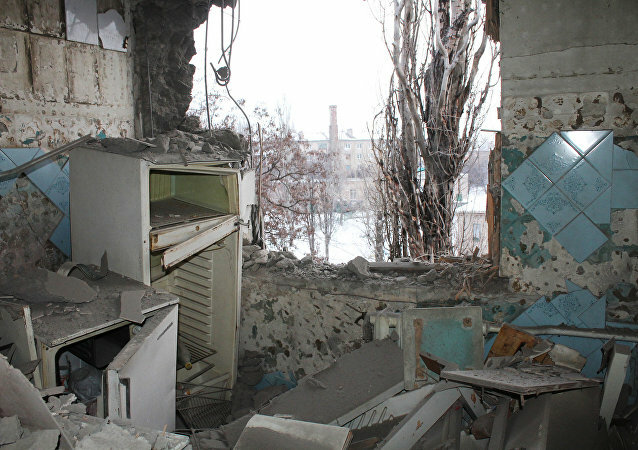 At least two people were killed and three others injured as a result of night shelling of the town of Avdiivka in Donbass, the head of Ukraine's Regional State Administration said Friday. The OSCE Special Monitoring Mission to Ukraine (SMM) has reported four Ukrainian army tanks parked behind a building in Avdiivka in violation of respective withdrawal lines. 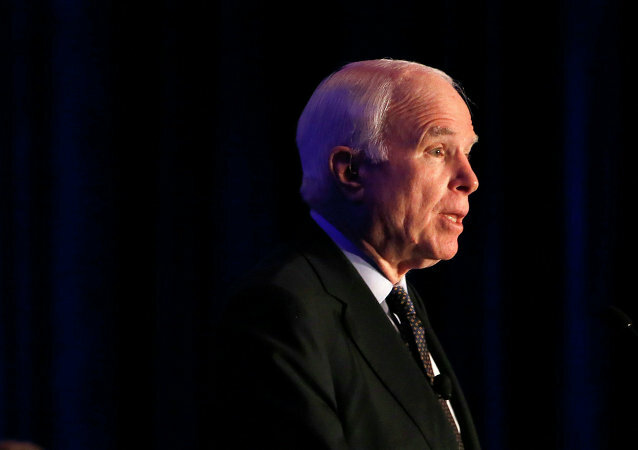 The United States should provide Kiev with defensive lethal assistance amid the spike of violence in eastern Ukraine, US Senate Armed Services Committee Chairman John McCain said in a letter to President Donald Trump released on Thursday. 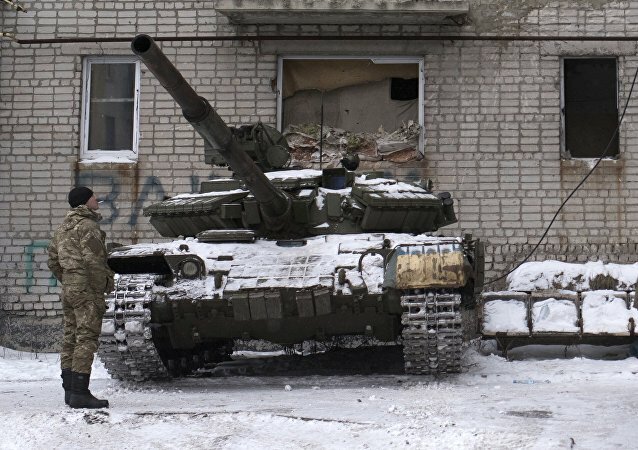 There are no Ukrainian armed forces' tanks in the eastern town of Avdiivka, there are only police armored vehicles, an official representative of the press center of the Ukrainian security forces special operations Leonid Matyukhin told RIA Novosti Ukraine on Thursday. Russian President Vladimir Putin explained three reasons behind the aggravation of the Ukrainian crisis. Ukraine needs to speed up implementing the Minsk agreements on settling the conflict in east Ukraine and proceed with constitutional decentralization reforms, Council of Europe (CoE) Secretary General Thorbjorn Jagland said Thursday. European Council President Donald Tusk called Thursday on Russia to influence Donbass militia in order to put an end to the fighting with the Kiev forces in eastern Ukraine amid the aggravation of the situation near the town Avdiivka. According to a DPR official, the Ukrainian Armed Forces are concentrating troops and armaments near the town of Avdiivka for an offensive.